Enjoy a fantastic and interesting tour through the historical heart of Moscow and learn more about the most emblematic and important culture, places and monuments of the Russian capital. Explore one of the largest metro networks in the world and the most beautiful in our free walking tour. 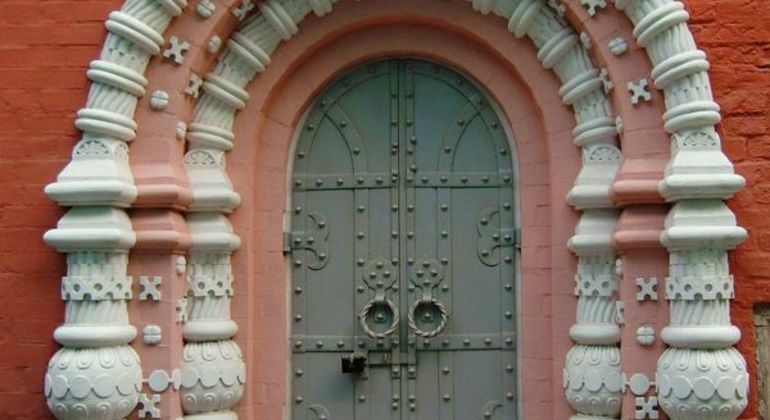 Let's get to know the history of Moscow from the bowels of the city. Cover the most iconic sights of Moscow during this incredible free walking tour in its central area. Let the history absorb you and monumental buildings amaze you. 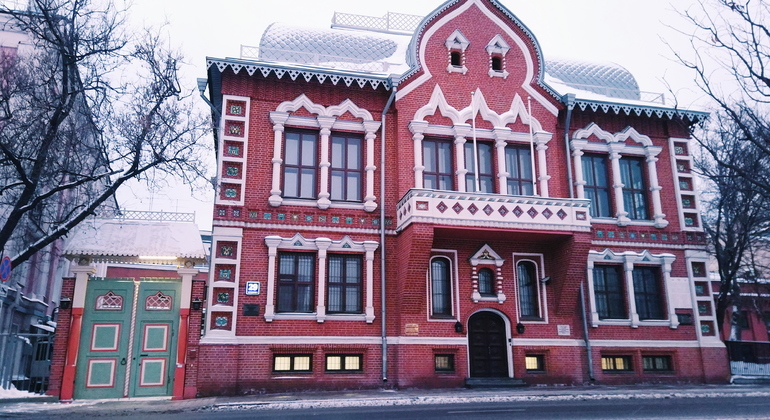 Explore wide streets with buildings of rich and unique architecture and learn the history of Moscow. 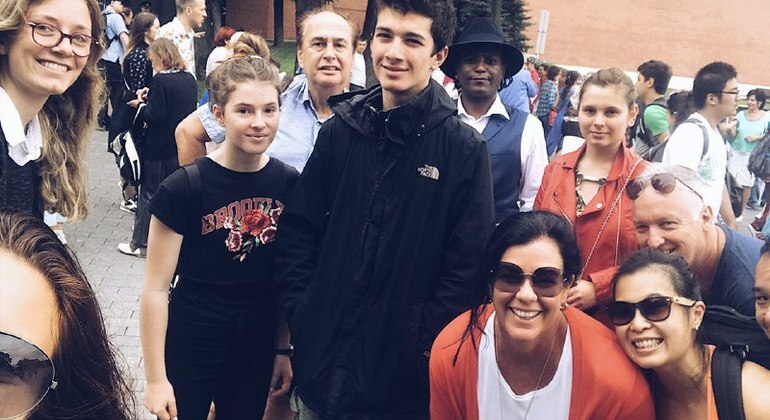 Join our free tour to see Red Square and nearby sights. 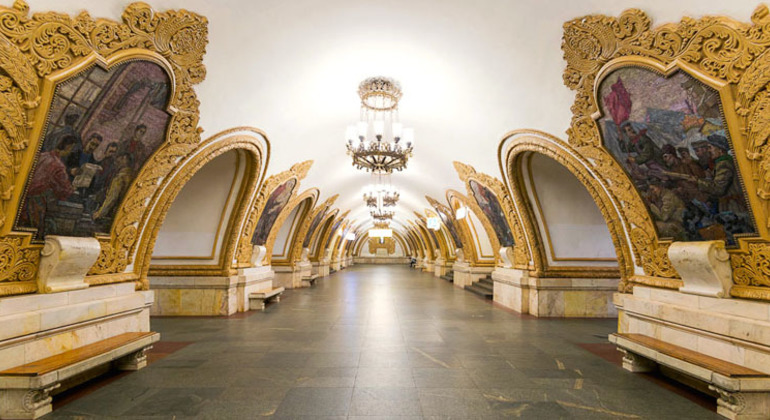 Discover the real museum in the Moscow metro stations with our unforgettable tour. Meet the main and the most beautiful stations in this visit to the Russian capital. 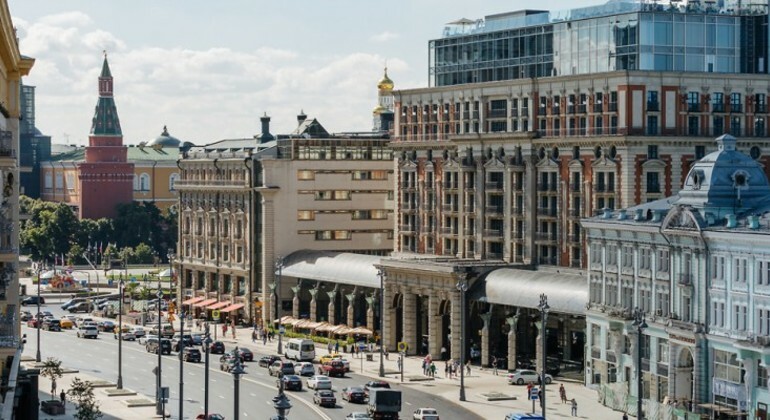 Free Walking Tour of Moscow "Tverskaya"
Discover the incredible architecture of Moscow from the seventeenth century by walking the most notable streets with a local guide. Amazing places of historical and cultural interest such as State Duma and much more await you. Join our interesting tour through the main streets of the huge and wonderful city of Moscow. Visit the most emblematic places such as the famous Red Square and Lenin's mausoleum. Come and explore the most emblematic and fascinating places of Moscow in our tour through the historical center of the city with our best professional guide. Explore the heart of Moscow and learn the most interesting stories from different epochs throughout its almost millenary existence, visiting its most emblematic places. 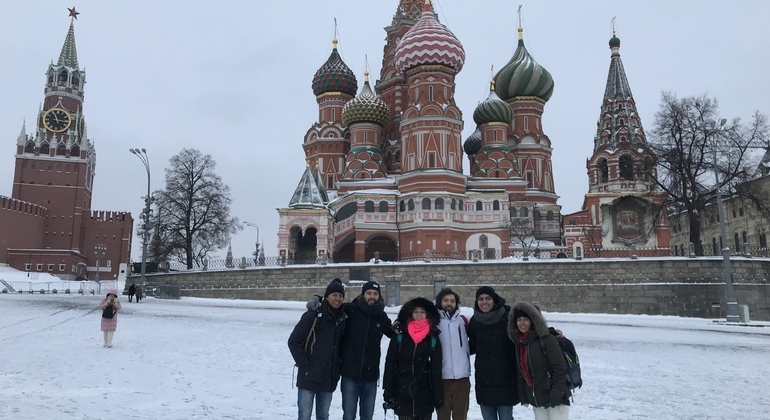 Enjoy this fascinating tour through the center of Moscow in Spanish knowing the most emblematic places and monuments of the city accompanied by a professional guide. Take advantage of our entertaining free walking tour and explore the best places of wonderful Moscow city hidden from the common tourists with a friendly local guide. Get to know all the glorious moments in the history of the Russian Empire with the help of a local knowledgeable guide. 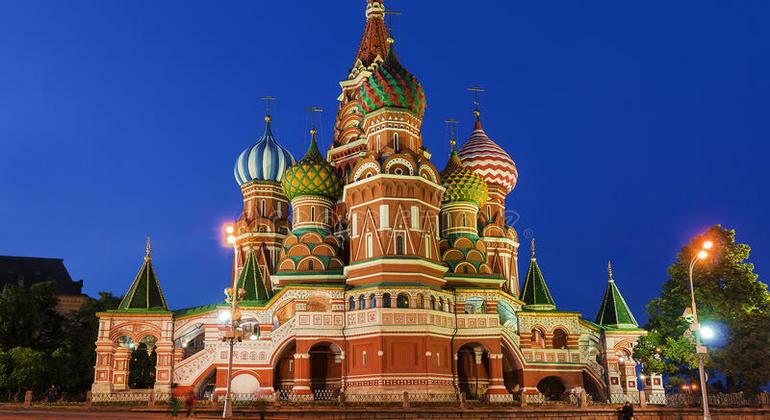 Walk around the most significant Moscow monuments breathing the air of history and rich culture. Meet Moscow of Stalin's times with my help. I'll tell you some dramatic and terrifying stories while we admire monumental architecture on this amusing tour. 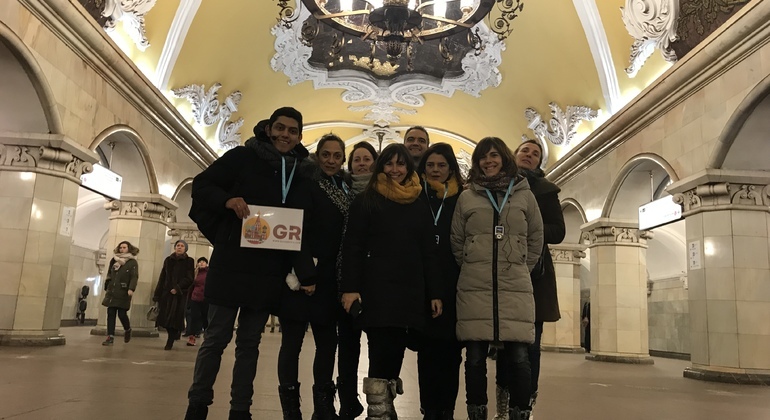 This tour is a unique chance to admire the underground palace of Moscow and find out its history. See astonishing architecture and grandiosity of metro. 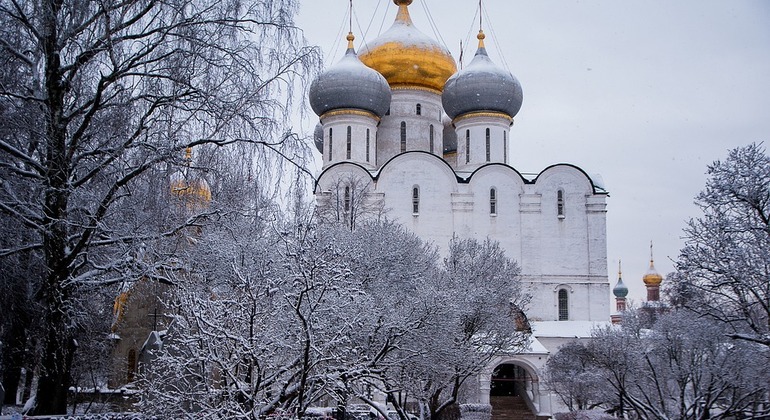 Be part of this Medieval Moscow Daily Tour, find out how was the life in the reign of Ivan the Terrible, visit the 3 oldest streets that lie within the ancient city walls. If you want to know the history of Russia during 20th century - this tour will tell you all about capital of the USSR, where you will visit the most important places. 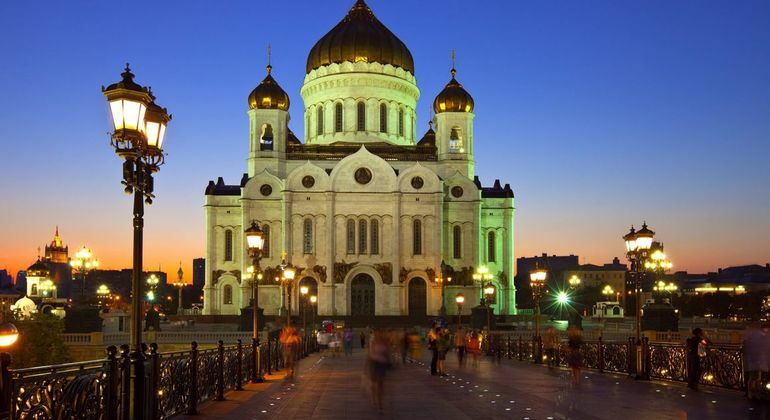 With this Moscow At Night Daily Group Tour you will explore most vibrant and popular areas. 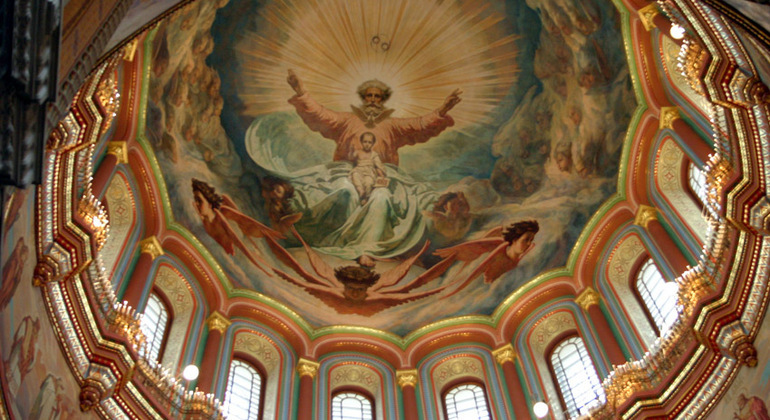 Learn why the Cathedral of Christ the Saviour is one of the symbols of Russia. Discover in one day the essentials of one of the most influential cities in the world. Be amazed by the subway palace and majestic sights with a hilarious local guide. 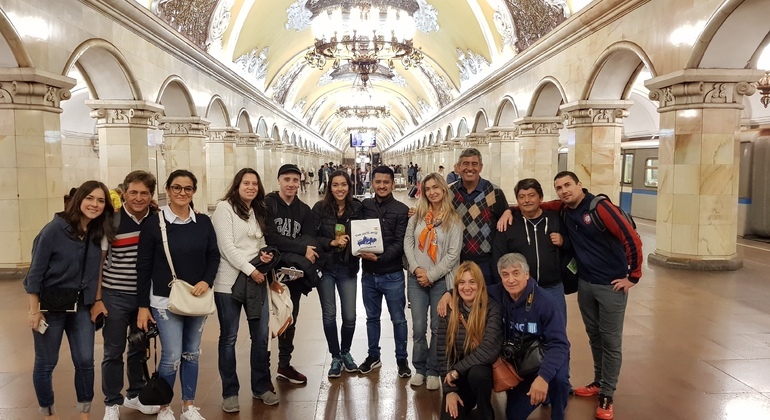 Excursion on the Moscow metro with a professional guide in Spanish. Tour is held every day from Monday to Sunday from 1:30 pm to 3:00 pm with a prior reservation. On this tour we walk through the center, accompanied by a guide, we walk through Moscownocturn enjoying the lights and the lighting that make Moscow a unique city. 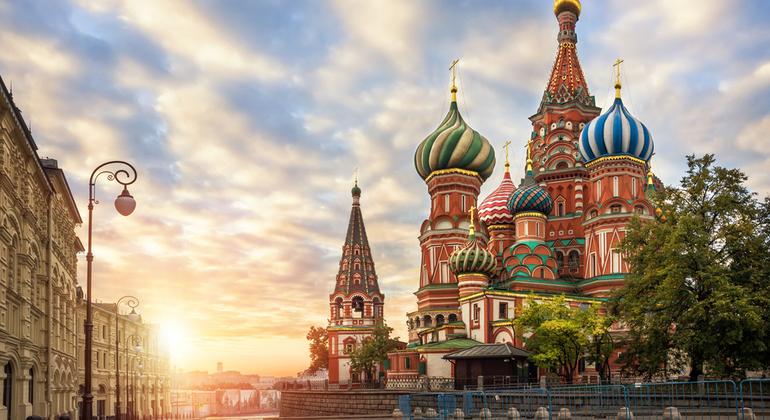 Moscow is a truly enchanting cityscape of old & new, with splashes of colour & cosmopolitan elegance creating a wonderful arena in which to explore the art, culture, heritage & history of a very exciting city. You can wander the old, church-filled Varvarka Street to Red Square, surrounded by the Kremlin, Vasilij Cathedral and Lenin's mausoleum before marveling at the delightful colours of the beautiful cupolas of St. Basil's Cathedral & copper domes of Saviour Cathedral while learning about Moscow's enthralling history, from 12th Century to Ivan the Terrible, Tsars, Soviet era & recent history, and get to grips with present day Moscow, gaining insightful local hints & tips from friendly, authentic local Moscow guides on freetour.com recommended free walking tours. 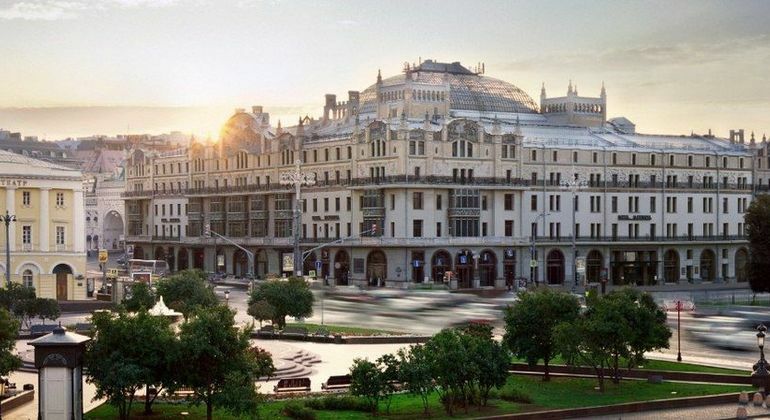 The city is a treasure chest of fantastic ways to spend your time – incredible museums, galleries & theaters, such as the Gulag museum, Tretiakov Gallery and the famous Bolshoi Theater, await your arrival while a journey through the remarkably beautiful Metro stations is an experience in its own right. You can also indulge in tasty local cuisine, peruse the Izmaylovo Market for interesting Russian souvenirs, walk the Moskva river in Gorky Park, & sample local Vodka while embracing the vibrant nightlife. However you spend your time among the towering skyscrapers of Moscow, you're sure to have an unforgettable visit.